Q. I get an apologies page when I try to use library databases and ebooks. This message should only appear to users who are not authorised to access the online service. We are unable to offer access to all our online services to all students externally enrolled with one of our partner colleges or associate members of academic staff. 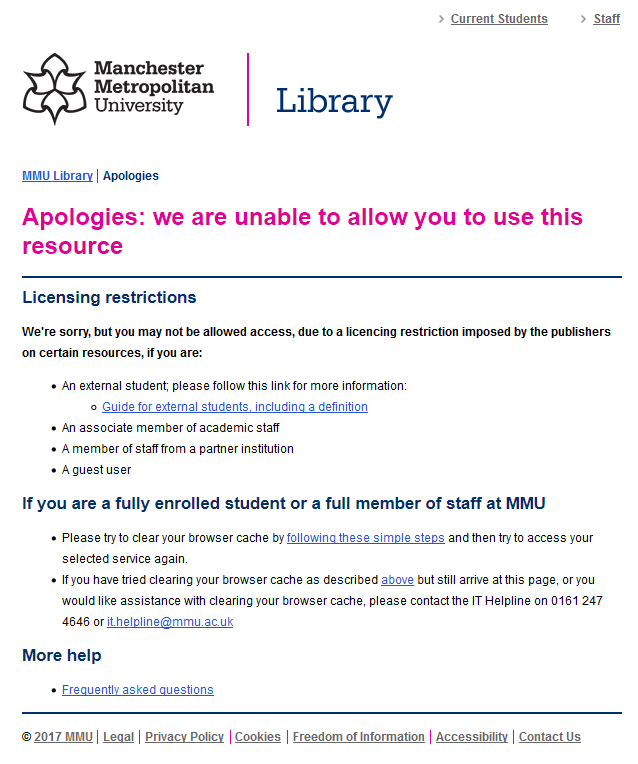 So if you are able to access some of our subscribed online services, but occasionally see this message, it it likely that you see it because we cannot offer you access to the resource. If you see this error message and think that you should have access to the electronic resource you were trying to use, please contact the Library.